ABBRA’s Boat Builder of the Year Award is given to the boat builder that through its commitment to sound engineering, quality workmanship, teamwork, innovation, and professional project management, has built vessels that have been successfully launched and whose process and product has made a lasting contribution to the recreational marine industry. 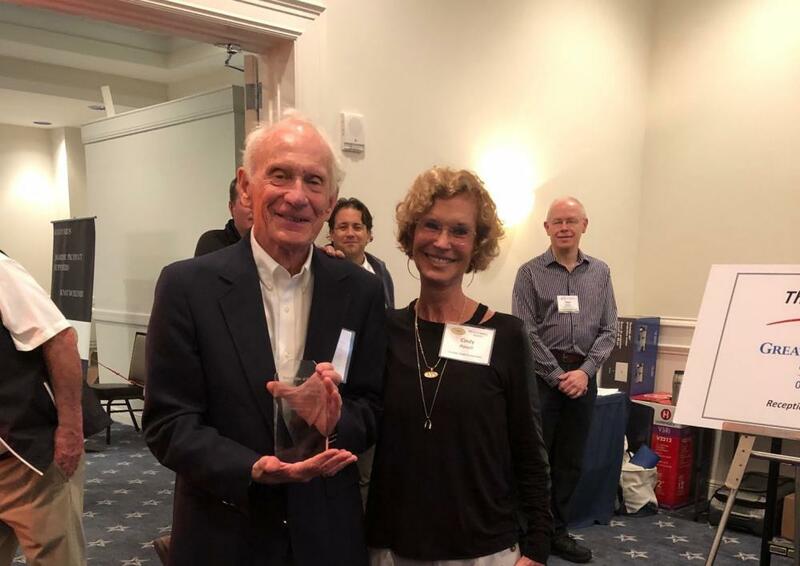 ABBRA’s 2019 Boat Builder of the year award is given to Huckins Yacht Corporation of Jacksonville Florida. Huckins has earned a reputation for quality craftsmanship, reliability, and the timeless designs. Back in 1928, when Frank Pembroke Huckins launched his first yacht and the company that bears his name, the process of creating something extraordinary was a labor of love. 91 years later, Huckins can assure you that the emotion runs in the family. Today, Huckins yachts are among the lightest, strongest and fuel-efficient afloat. Frank Pembroke Huckins invented one of the first true planning hull forms – the Quadraconic hull. He also designed a balance outboard rudder used on WWII PT boats and all postwar boats throughout the 1970s. Huckins competed in the “Plywood Derby”, a 195-mile offshore trail for PT boat design, and was commissioned by the U.S. Navy to build two PT squadrons during WWT. In the early 40’s Huckins built 18 PT boats in total at the same location as the yard is today. Huckins owner Cindy Purcell (granddaughter of Huckins founder Frank Pembroke Huckins) was born with yachting heritage in her bones. With the guidance of her father, Kenneth Archibald (Former President of Huckins), Cindy and husband Buddy Purcell have successfully continued the rich heritage as one of the oldest family-owned yacht builders in the United States. Cindy began accompanying her father to the boatyard at the age of two. It was not long before she started joining him on every sea trail that left the yard. Cindy became a boat owner at the age of ten, a 12' Ski boat built by her father. When she was not "yachting" she could be found studying the company's painstaking attention to detail that has been the formula of the premier custom-yachts for over 91 years. It was not long before she learned the name of all the Huckins employees, owners and service clients. Cindy was always encouraged to play in the yard while learning everything that she could. After college, she spent a short stint in Alaska after marrying Buddy, but eventually the couple returned home to Jacksonville. In 1970 Cindy started working in the stockroom and Buddy in the paint department. Both Cindy and Buddy worked in various departments in the boatyard before earning management positions. Today, the couple oversees all facets of the new construction and service side of the business. Huckins is one of the oldest fiberglass composite core builders in the United States and in the 80’s they built the largest outboard cruising yacht of its time, a 50’ Motor Yacht powered with four outboards engines and capable of 38 mph. Funny to think about now since outboards are all the rage! Huckins has built 458+ custom yachts, and they are using all of that knowledge to switch gears into new phase of production. Today, Huckins is leading the next generation with hybrid power. The Sportsman 38 has genealogical roots stemming from Huckins Sportsman 36 that was built in 1936. Huckins wanted to keep the beautiful art deco profile of the 30s and merge it with today technology and advance hull design. The Sportsman 38 offers dual hybrid propulsion using twin electric motors for cruising and the Twin Tier 4 Cummins diesels for speeds up to 35+ knots. This boat is also available in outboard power. The construction of the Sportsman 38 will be vacuum infused with urethane acrylate resin, Core-Cell, and E-glass. Construction is currently underway at Huckins facility in Jacksonville, FL. ABBRA, wants to recognize Cindy and Buddy Purcell for their engineering consistency, positive work ethic, customer care, and their continued success that has been built on Frank Pembroke Huckins innovation and sense of purpose in good times and in difficult times.